Problems with the premises had left us with a number of free Saturdays we'd earmarked for renovating and decorating. How to spend them? 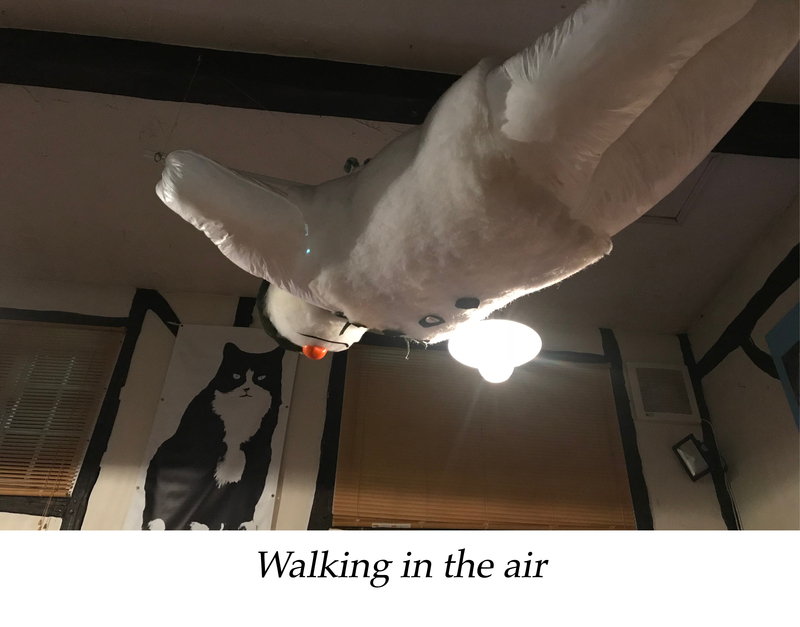 In the pub of course. And so it was that Bez and I made our version of a pilgrimage to Kent. 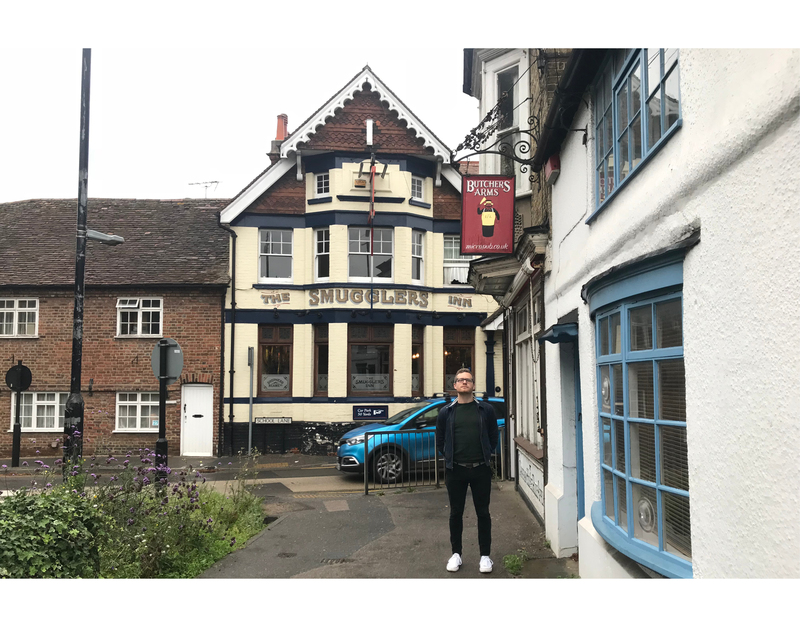 The Butchers Arms in Herne, the very first micropub, our destination. 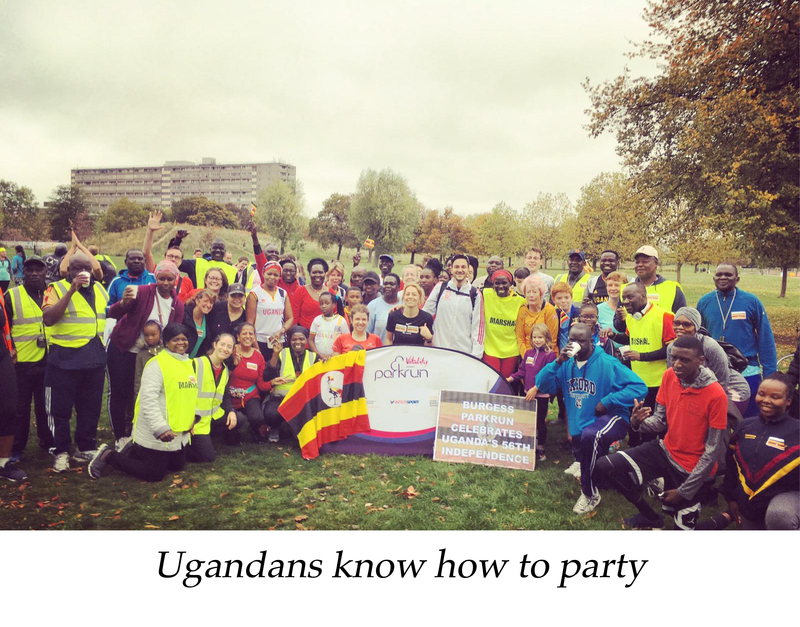 After a joyous morning celebrating Ugandan independence day at Burgess parkrun ('asante' to all the volunteers who made it such fun), Bez was suprisingly early for the 1240 out of Victoria to Herne Bay. Even better, he turned up with a carrier bag containing two chicken kebabs and some homebrew. The prospect of an hour and a half train out there was suddenly looking more enticing. Over bottles of 'Sharkbite', we agreed there were two things we should try and get out of the day: inspiration for how the Camberwell Shark should look and a better handle on how to kit out the cellar and cold room. We pulled in to Herne Bay around 2pm and getting the first of what would prove many Abacus taxis, we set off for the Butcher's Arms to see what the fuss was all about. The Butchers Arms, a converted butcher's shop, was opened in 2005 by Martin Hillier. 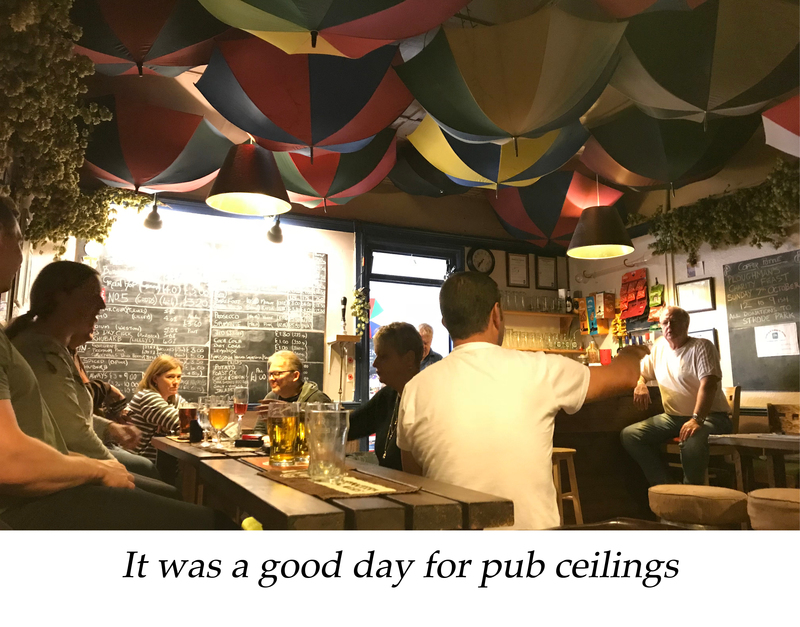 We had heard lots about it and were particularly intrigued about how it used the available space, given it was supposedly small even by micropub standards ("the compact drinking area ensures lively banter", CAMRA's Good Beer Guide assured us). Opening hours. We'd been done by the oldest micropub gag in the book. 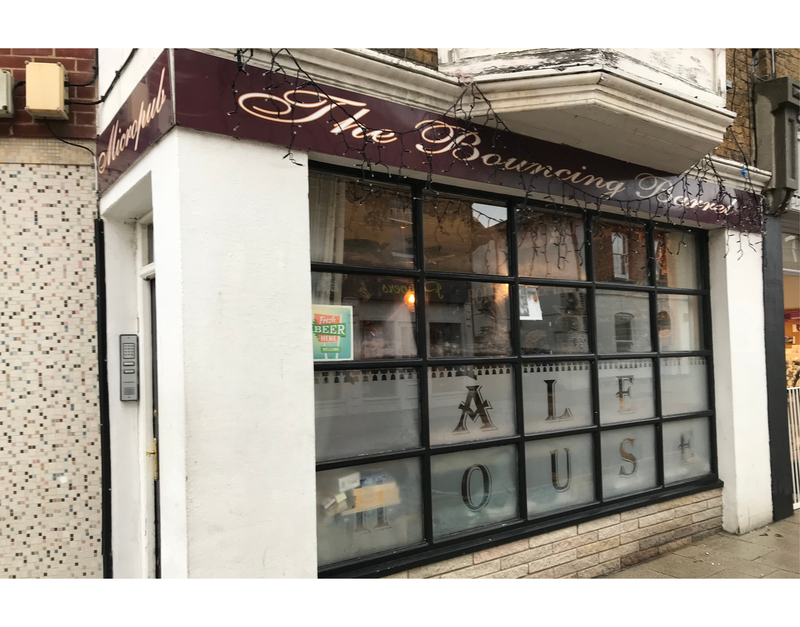 Luckily there were several other micropubs we had earmarked to visit and having managed to flag down a now bemused taxi driver, who had just about finished executing his three point turn, we set off back to Herne Bay. A modern looking micropub housed in a former music store. It was fairly large having recently extended in order to host live music. With a playlist as good as its beer selection (the Bloodhoung Gang?!) we were big fans. A poster on the wall indicated it was green hop season which, despite hailing from Kent, I'd never heard of. Bez explained that it was beer brewed with freshly picked hops that was only available around harvest time (he admitted to having acquired this knowledge from the previous week's episode of Countryfile). We had a sample (I didn't take note of the brewery or beer name) and it was certainly distinctive, very fresh with a grassy taste. Sold on green hop beer, we drank it for the rest of the day wherever we found it. 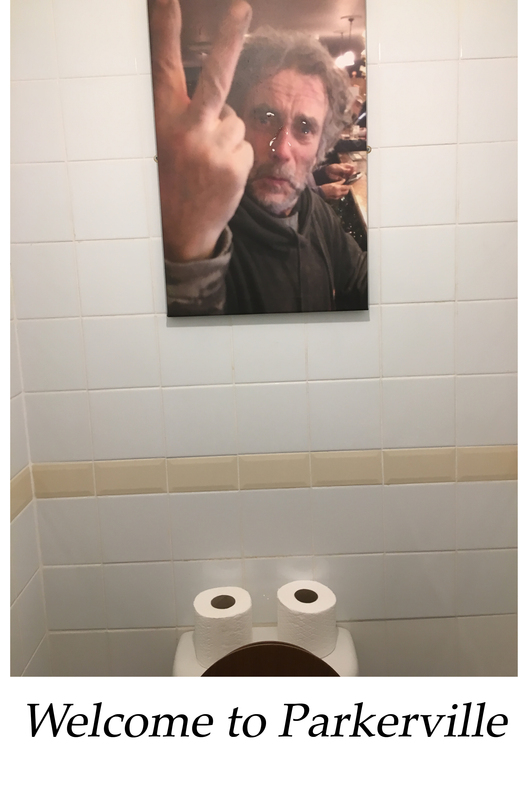 The pub also included what is probably my favourite ever toilet joke, some accolade. 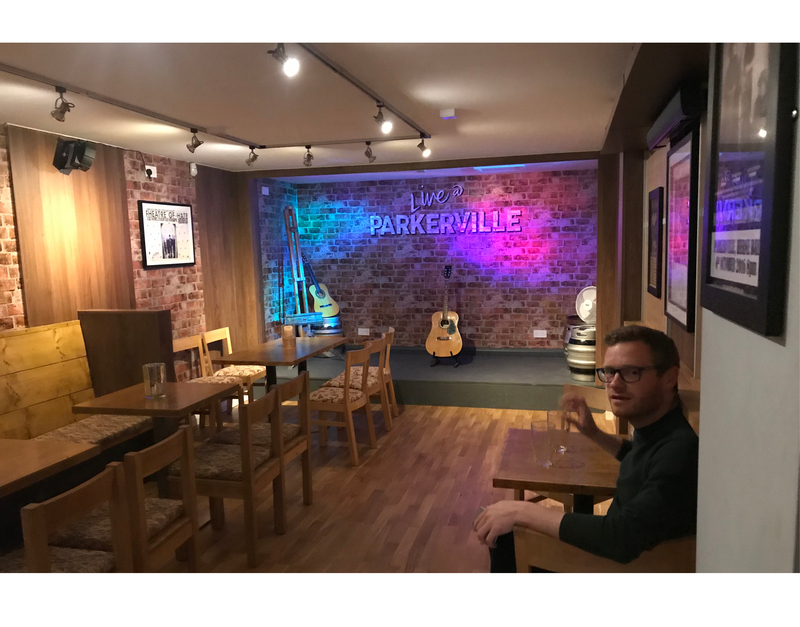 Having learned from the landlord in Parkerville that most of the micropub owners in the area used to drink together in the Butchers before setting up their own ventures, we popped round the corner on his recommedation to the Bouncing Barrel. Unprepossessing on the outside, we loved it. And what's more Terry, the landlord, probably gave us the most useful 30 minutes of our research so far as he taught us about setting up a cold room, beer storage and the advantages of key cask. He assured us that kitting out a pub in three weeks while holding down a full time job is not an issue. It probably isn't if you're a Terry—suspect we might struggle more. Either way, first pint's on us when he makes it up to SE5. 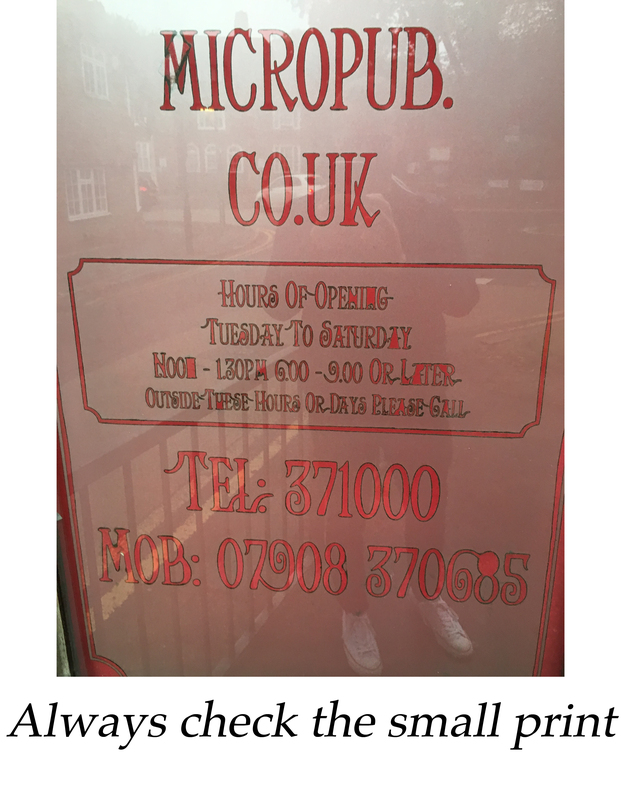 Another taxi ride later and at 5pm we were stood outside our second closed micropub of the day, the Copper Pottle. It opened at 6pm so we killed some time watching Newcastle play Man United in the pub across the road. I don't remember the final score but given we were two up after ten minutes I'm sure it all went well. 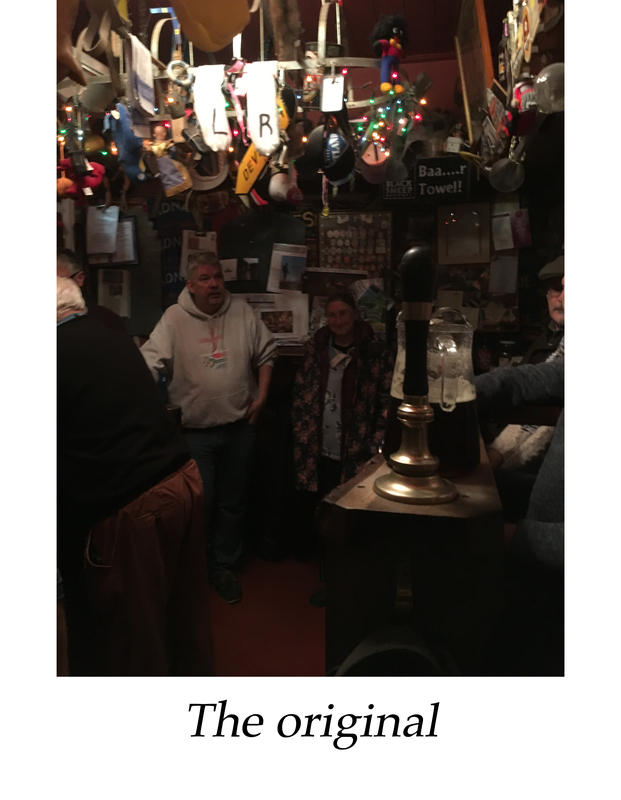 When we eventually made it into the Copper Pottle it was another fantastic offering from the Butchers Arms drinking stable, with a belting atmosphere and another great green hop beer. By this stage we seemed to be almost borderline celebrities in Herne as the guys who were opening their own pub, and we were getting advice and making friends everywhere we went. Hopefully nobody remembers the offers of free beer. It was approaching 8pm and the now open Butchers Arms would only be so for another hour. With taxis increasingly hard to come by, a surprisingly long jog was required to take us to our Canterbury. It didn't disappoint. Housing around 12 seated customers at once, and apparently space for what would be a pretty cosy 20 people standing, the customer area was around half the size of the premises we had found in Camberwell. The seating made the most of the space, with narrow tables along the sides of the room and benches set into the walls which were designed so that people sitting were at the same height as those standing. And needless to say, as good a beer as you'll ever have. After ordering and paying, we hovered nervously around the till waiting to get a chance to speak to Martin. Bez said it felt like he was meeting the Queen. Once Martin had finished dispensing drinks to other customers, he took pity on us and came over for a chat. He was generous and wise with his advice. He warned us against a drinks offering much wider than cask beer, as anything else diverts people from drinking the beer, which is not helpful when we'll need to get through casks in three days if we want to maintain quality. While we appreciate the advice, we aren't sure we'll survive in Camberwell if we only offer cask beer. But food for thought nevertheless. The four of us head west to Fuller's brewery for a course on 'cellar management'. 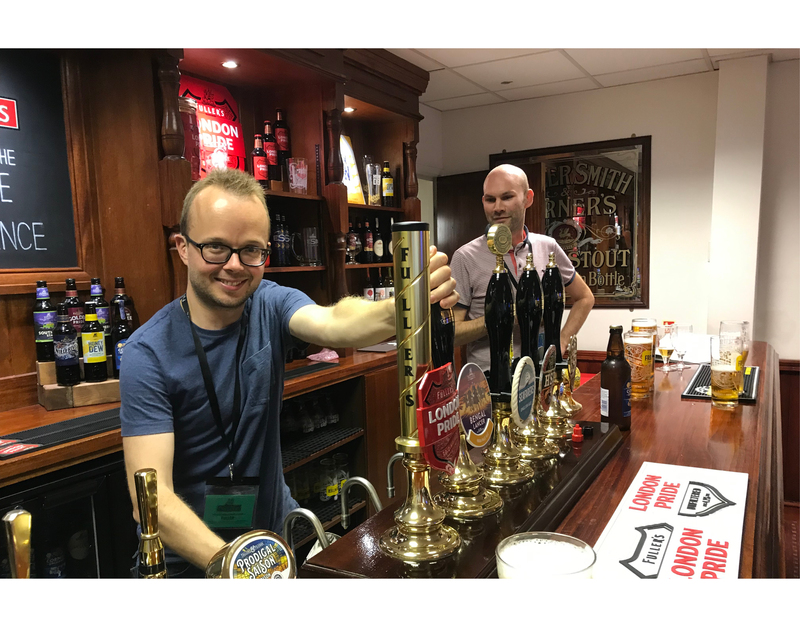 Why can't every training course have a free bar?